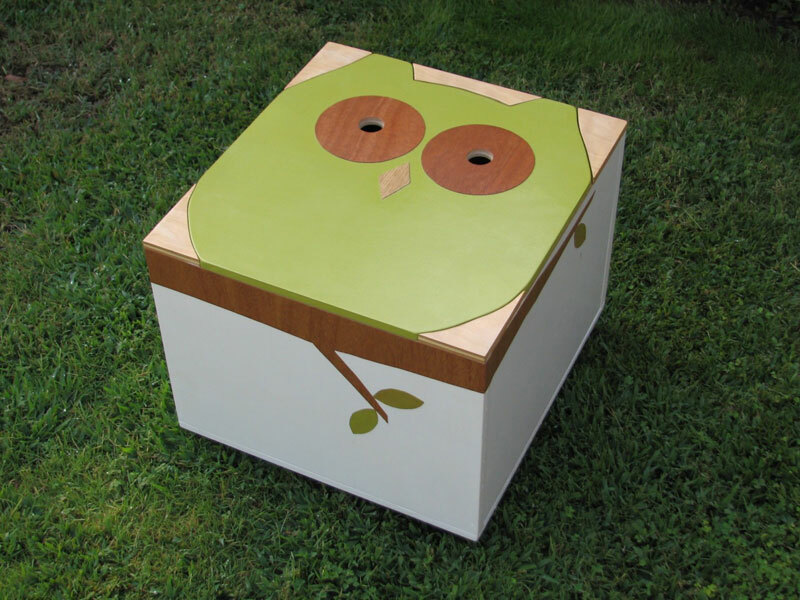 We first introduced you to Mod Mom Furniture‘s sustainable toy boxes two years ago. Since then, the amazing line of eco-friendly storage boxes has expanded to include new styles and shapes. We love the Noah Owl Toy Box, along with the larger blue bird-adorned Maude Toy Box with Book Cubby and the floral Riley Paige toy box. All styles feature lightweight lids that are easy to remove using openings like the owl’s eyes. The toy boxes are made to order using eco-friendly birch plywood that’s finished with non-toxic, low-VOC water-based paint. Thanks, Julie!! It was so cool to see this posted on Facebook today. Many,many thanks! Saw you on shark Tank last nite, Love, love, love your product! I'm sharing it with friends and family...best to you...love the furniture ideas too, especially the crayon table. 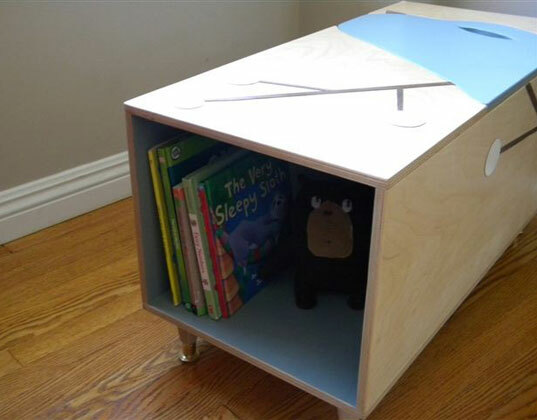 The Maude Toy Box also has a book cubby. You can choose to order this toy box on casters or with birch legs. This little toy box is on casters so it's easy to move around the room to clean up or take out toys. The Maude Toy Box also features a lightweight lid. The Riley Page Toy Box features two compartments so you can store blocks on one side and plush toys on the other for example. The Noah Owl Toy Box has a lightweight lid that's easy for kids to remove using the owl's eye holes. This toy box can be customized as a variety of different paper patterns and color combos can be used to decoupage the floral pattern on the top.